The 19,500sq ft office, housing 65 staff, will initially have the working name of Chalk Hill Place and will be ready for occupation next July. At the same time Stockton-based developer Terrace Hill is building a speculative 24,000sq ft office block called Baltimore House. As part of the same Baltic Business Quarter development, the scheme is expected to provide space for businesses employing 7,000 staff when complete. Terrace Hill aims to transform 50-acres of derelict land into a new commercial community. Gateshead College’s new base is close to being finished on an adjacent plot, and further down the hill towards the Tyne, Opus Land is building a 150-room, four-star hotel. Terrace Hill says it believes Baltimore House will attract interest and satisfy “pent up” demand for quality office space in Newcastle and Gateshead. Both Chalk Hill Place and Baltimore will be built by Tolent Construction. Terrace Hill director Martin Vickerman said: “This is a new urban office quarter for the Gateshead and Newcastle conurbation, with all the space and benefits of an out-of-town business park. It is tremendous news that we have started on site with Chalk Hill Place and Baltimore House and we welcome the Open University to Gateshead. Gateshead Council leader Mick Henry said: “It’s been a long-held aspiration of ours to have a major academic establishment here in Gateshead.With the development of the new Gateshead College campus and the decision of the Open University to move to Baltic Business Quarter, we now have two. Work on the 160,000sq ft Gateshead College is well under way and it is scheduled to open in January 2008. 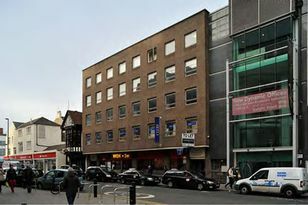 The agents for the development are the Newcastle offices of Sanderson Weatherall and DTZ. PARENTS of children at a Gateshead school are celebrating after their council was forced to overturn a decision on the number of pupils that can join its classes next year.